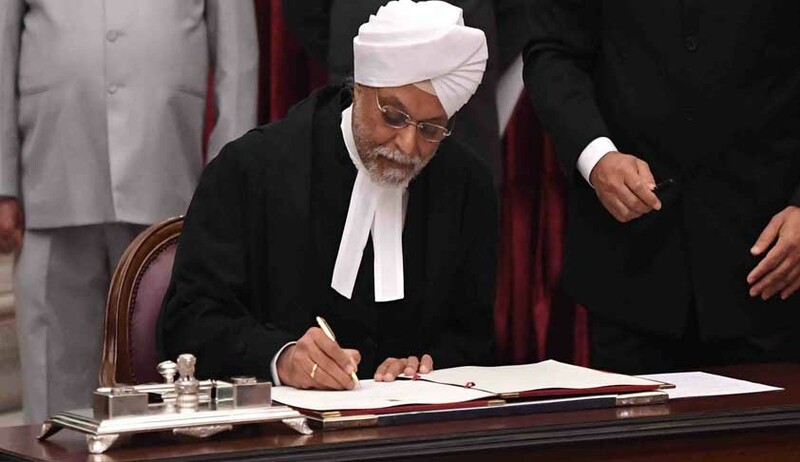 Chief Justice of India Justice J S Khehar has written to the Finance Ministry to provide details of major tax cases pending with the Supreme Court, so that the decision in one case could have a cascading effect in disposing of several others. News agency PTI reported that listing out initiatives taken by the apex court in reducing the pendency of cases, the CJI said “so far initiatives that we have taken, we have tried to collect data even from the Finance Ministry relating to cases where, on tax issues, where there could be a cascading effect. So I wrote to the Secretary of the department asking him whether he can point out the cases where there is a cascading effect so that we decide one and lot of other cases of different levels can be disposed off”. Justice Khehar was speaking yesterday night at a book release function at Rashtrapati Bhavan, which was attended by President Pranab Mukherjee and Prime Minister Narendra Modi. The CJI also said he had asked the finance ministry to find out whether there were certain cases which could have major financial impact so that, rather than the matter pending in the courts, it will decide whether the government needs that money and gets it immediately, or doesn't get it. One way or the other. The Chief Justice also spoke about an alternative redressal mechanism to reduce pendency of cases in various courts and said we can deal with a little bit of our arrears if there is a re-look at litigations pending with us at all levels of all courts. He said the national litigation policy was formulated by the government and it was expected that some kind of control would come around on the litigations that come from the government. Since the government is the largest stakeholder with us, obviously the consequences of failed litigations are largest for the government. So nobody can grudge the government for raising the claim. But it seems that we need a further look at it and I am sure that the government will consciously examine this issue, he said and suggested a mechanism where an independent agency, may be having some retired judges or eminent persons, to take a second call on whether to go for and appeal or not. And if we can just reduce 10 per cent of these litigations, then we will be the long way ahead. Again, please don't take me wrong, it is not a matter of any criticism, the PTI quoted him as saying.